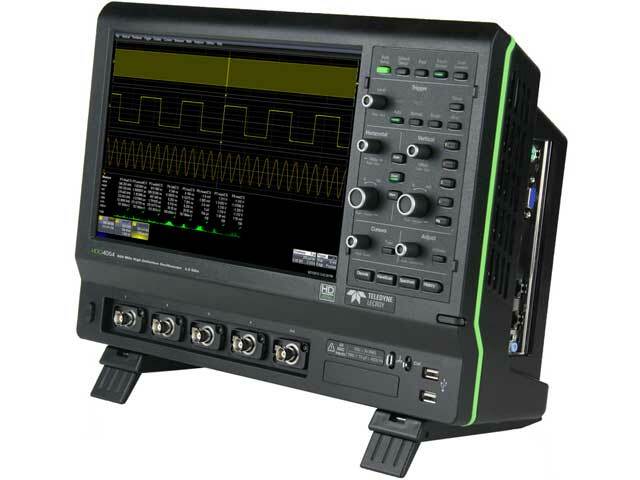 New HDO-4000 series oscilloscopes manufactured in high resolution technology, are characterized with 16 times higher horizontal resolution in comparison to other oscilloscopes made in the standard 8-bit technology. New 12 bit technology allows very precise waveform reproduction with very low noise levels which, on the other hand, enables measurements of signals with high accuracy that is not available to standards oscilloscopes. The offer includes 2 and 4 channel models operating in the following bands: 200MHz, 350MHz, 1GHz and the memory of up to 25Mpts/Ch. - HistoryMode the function of reproducing waveform and rewinding the waveform in order to isolate anomalies and identify the source of a problem. - LabNotebook the function of creating documents and generating reports of all works without the necessity of independent recording various files.